The Edmonton Oilers have signed Connor McDavid to an eight-year contract extension worth $100 million. That amounts to an average annual value of $12.5 million, which will make him the recipient of the highest salary cap charge in the NHL. The contract goes into effect in the 2018-2019 season. The 20-year-old has a year to go on his current entry level contract and was eligible to sign the extension as of July 1 of this year. McDavid has become a franchise player in just 127 regular season games for the Oilers. He’s put up 148 points in that time frame, including 46 goals and 102 assists. Edmonton also returned to the playoffs under his guidance, where McDavid scored nine points in 13 games. When the new deal kicks in, McDavid will earn $2 million more than any other player in the NHL. There are few who would argue he’s not worth it and even fewer who would argue the Oilers aren’t smart for having locked him up for his prime hockey-playing years. In most respects, this is an open and shut case. You get the best player in the NHL. You pay him accordingly. “We’re confident that we’ll be able to ice a winning team and one that can contend and win the Cup in short order,” general manager Peter Chiarelli said. 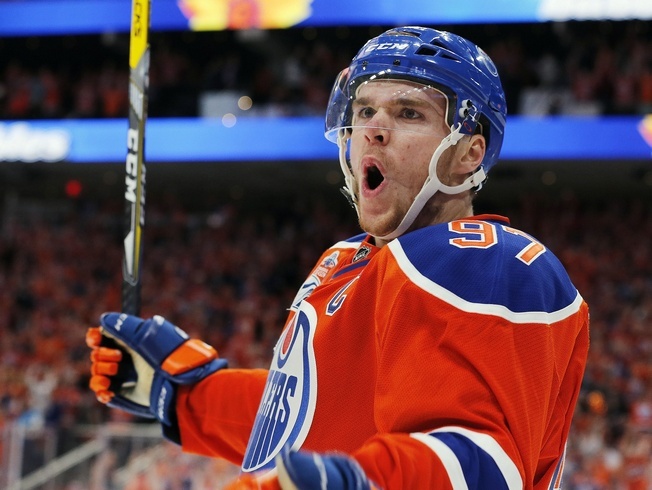 McDavid, the top pick of the 2015 NHL Entry Draft, became the third youngest player to win the Hart Trophy. Only Wayne Gretzky and Sidney Crosby won it at a younger age, which puts things in perspective. In all reality, McDavid could’ve made more money. Rumours had him signing somewhere in the $13.25 million range, but commitment was important. Edmonton will now turn its attention to signing restricted free agent Leon Draisaitl, another key element to their future success and part of the strong supporting group the Oilers hope to have in place for McDavid. Draisaitl had 77 points in 82 games in 2016-2017 and is in the final year of his entry level contract.